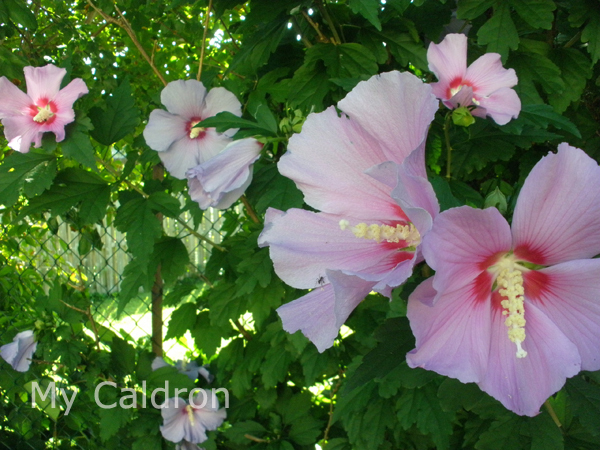 Dahlia and Rose of Sharon, perennials that bloom by mid July and last till early September. Dahlia needs more sun than Rose of Sharon, but both tolerate most soil types and need little water (in Montreal weather). 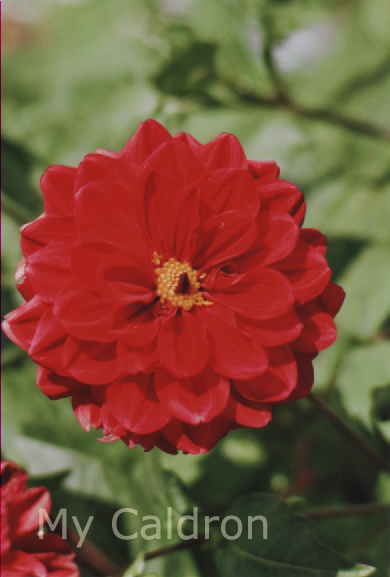 Dahlia’s bulbs need storing before the end of October.